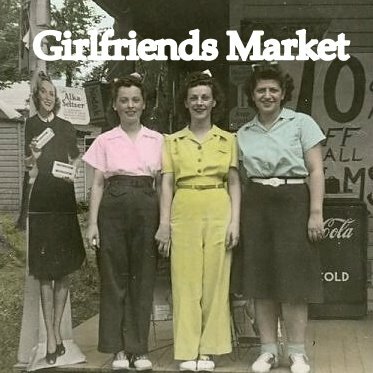 girlfriends market: Make a date and don't be late! Make a date and don't be late! This show truly is a feel good event. It's so much fun to put it all together and the actual show just plain makes me giddy. What could be better? Shelly and I spent the morning at the Hall decorating the front of the wonderful old log building. It's the best its ever been. The inside of the hall has this incredible warmth about it, makes you want to move in. It's not to late to include us in your weekend plans, or just tweak them and come join us? Friday evening you'll be welcomed with cookies, hot drinks and live fiddle and guitar music on stage by Josie and Ethan. They're going to cook up some fun tunes for us from 4-6pm. Admission$5 on Friday which entitles you to first dibs on all the treasures. Afterwards you can have some dinner with your friends offered by Kristi of Paprika's Catering. If Friday doesn't work, we'll be open all day Saturday from 9-4pm, admission $3. Grab a hot drink and a bite to eat and head on into the hall. We'll have vendors selling eclectic to country/primitive decor. Beautiful handcrafts, jewelry, knitted accessories, hand spun wool, handmade soap, lotions and body care, soy candles, wreaths and greenery, along with linens, quilts, collectibles, antiques and vintage Christmas. Every nook and cranny will be filled with delightful stuff. This is a very sweet show not to be missed. Now Lu Lu, he's not hideous, I think he's cute. Join Linda and her friends up at 2nd Saturdayz at Sand Pt. in Seattle 8-3pm. Another wonderful market.